The last talk in our current Creative Network series, funded by Cultivator! Doors open 7pm for a 7.30pm start, free entrance and refreshments provided. Cat Bagg and Rosie Allen have worked together collaboratively as Field Notes since 2014, to curate, commission and produce contemporary art, creating a platform to support emerging artists and new audiences. Cat will join us to talk about their curatorial approach to showing and commissioning artists beyond the gallery. She'll give an overview of some of their experiences, including; the founding of artist led Inland Art Festival, in Redruth, 2014; producing projects for artists and voluntary groups; and creating independent commissioning programmes. She'll also give a more focused insight into the planning of Hummadruz, at Newlyn Art Gallery in 2018. The exhibition explored the overarching, infinite rhythms of nature, folklore, and witchcraft. 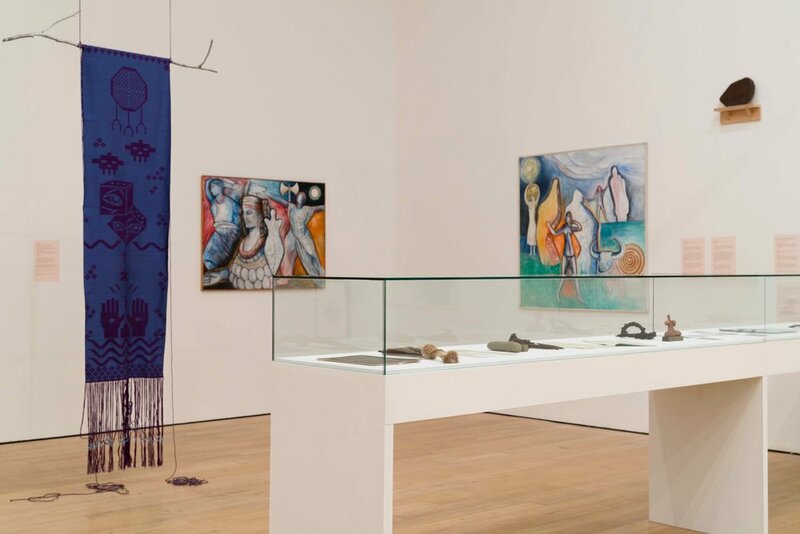 It brought together works by inspiring 20th century women whose practices span the realms of art, feminism, and the occult including Monica Sjöö, Ithell Colquhoun, Jill Smith and Mary Beth Edleson alongside artefacts and archive materials from The Museum of Witchcraft and works by contemporary artists.